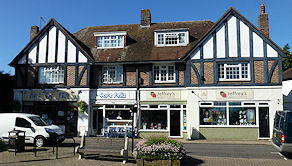 Prior to the later part of the 19th century, the majority of Angmering's shops were to be found in the High Street and Arundel Road. 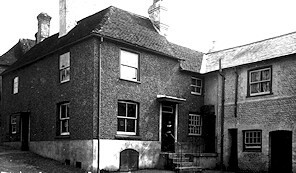 Of course, there were not so many as we see in the village today but the ones that were established were essential to everyday life in the village such as butchers, bakers, general provisions, saddler, coal merchants, drapers, shoemaker, etc. 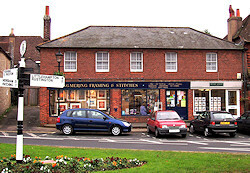 The location of the shops may be a surprise to us today as virtually all of the village shops are to be found in The Square. But first, perhaps, we should define the areas known as The Green and The Square. 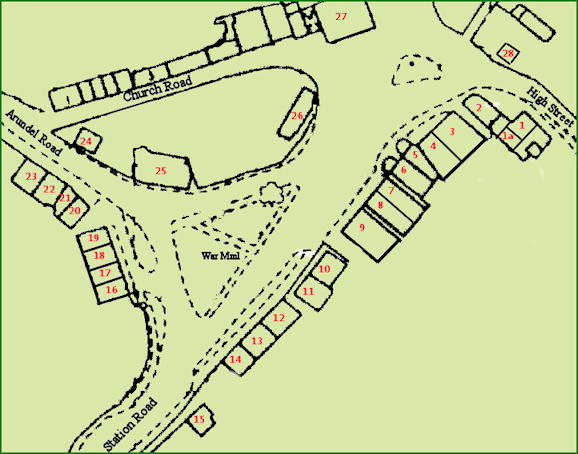 The Green is the triangle of land in the centre of the village containing the war memorial while The Square is whole of the area comprising all the shops in the village centre (but not those on Church Hill), The Green, the houses opposite The Green to its east, Eachways, The Lamb, Pooks Hill Cottage, and Blaber House. So why the change? The principal reason for this was that The Square, as we know it today, was subject to regular flooding. Even now, every few years, The Square can become a lake after a severe deluge of rain. In the 19thC, a rowing boat was employed for taking people from one side of The Square to the other when the roads were impassible. 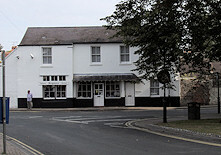 A stream called Black Ditch (also known locally by some as Patching Stream) runs from Patching Pond through the village centre before winding its way west and into the River Arun. 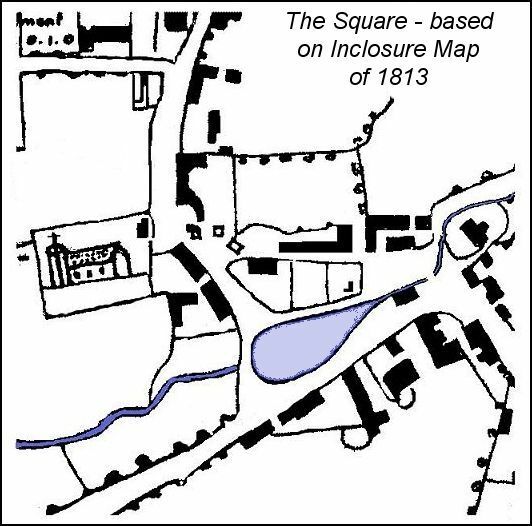 Up to the mid-19thC, there was a pond in the area where The Green is situated today, but this often was considerably larger under flood conditions. The pond was fed by the stream coming down from Patching and it continued from the pond's southern side across the Ham Manor estate. It can be seen from the map above that few buildings bordered The Square in 1813 and those that did, including the Elmgrove houses, were on higher ground; others were farm buildings. 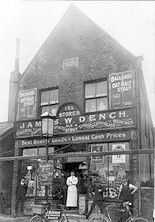 On the eastern side of the pond, in the middle of the thoroughfare, a building can be seen. This is believed to be a forge which utilised water from the stream. 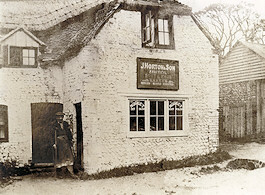 The old public houses - The Lamb to the north of the forge and The Red Lion to its south - were situated on slightly higher land. 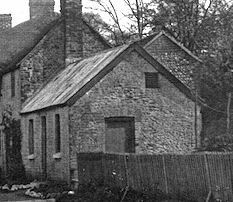 This flooding affected the everyday life of villagers and so, in the mid-19thC, the stream was culverted under the village centre from the rear of the property Eachways on the eastern side of The Square to the rear of The Big Fry shop on the western side. The pond was filled and, at the turn of the 20thC, the pond's former area was landscaped and lime trees planted. With the stream culverted, the flooding in The Square was minimised which encouraged shops to be opened there. 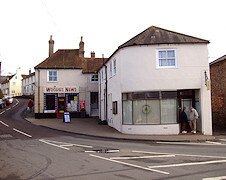 Gradually, over the next century, virtually all village shops migrated to The Square to the extent that there are no longer any shops in the High Street or Arundel Road except those adjoining The Square at the foot of Stubbs Hill and Church Hill. There are probably inaccuracies in the above listing and certainly missing businesses. 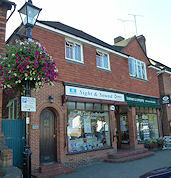 It would be appreciated if corrections and updates could be sent to me at Angmering Village Life (see Contacts page). 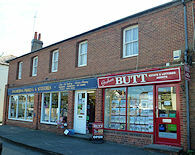 I would like to thank Roy Green and Richard Standing for their assistance in identifying Angmering businesses. Also Sharon Francis.